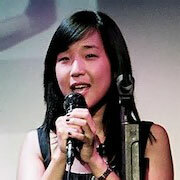 Jennifer Tsay is a second generation Taiwanese-American who happens to look Korean. She received a B.A. in Communications and Economics from the University of Pennsylvania. Post college, she joined Citigroup’s Corporate and Investment Bank as an analyst in the Global Product Management division. She then moved to American Express as a Manager for the ?onsumer Card Services Finance department. Despite her professional background in corporate work, Jennifer’s primary passion has always been for film. Given her experiences both studying and volunteering abroad, she is also deeply interested in international humanitarian issues. As such, Jennifer has since transitioned to her current career which divides her time between producing the Divided Families Film and pursuing acting. If you live in Chicago or Los Angeles, you might catch her in an AT&T wireless commercial for 2 seconds. ?